Hughes Federal Credit Union - Springtime in Vail Event! Hughes Federal Credit Union invites you to attend our Springtime in Vail event at our new branch located in the Houghton Town Center. Join us for a desert springtime celebration featuring local artist Diana Madaras and a live remote broadcast from KIIM FM. The event will feature a prize hunt for kids, free food, balloon animals and the opportunity to win tickets to the Pima County Fair and the Tucson Speedway, plus a chance to step into the Hughes Money Monsoon Cash Machine and grab up to $1,000 in cash! Stop by and enjoy a good time while getting to know your neighborhood-friendly credit union. 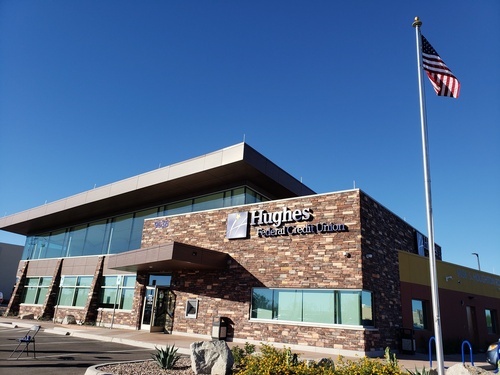 Visit HughesFCU.org/Vail for complete information.